Mozilla have some minimum requirements for 'Powered by Firefox OS' branding! In what would appear to be a perfect leaf out of Google's Open Source book, Mozilla have revealed that they will be imposing minimum hardware requirements for phones wishing to parade themselves as 'powered by Firefox OS'! Now the hardware requirements are by no means spectacular, but these are the very minimum that even a low end mobile phone should run in 2013. Mozilla stipulates that there should be: an 800MHz single-core processor, 256MB of RAM, and in screen terms Mozilla will accept anything from QVGA, that's 320 x 240p, upwards! If any device fails to meet these requirements Mozilla won't allow it to wear their branding, which you can see above on the ZTE Open, and it won't be permitted to access Mozilla's official app store, but it should be easy to find ways around that! 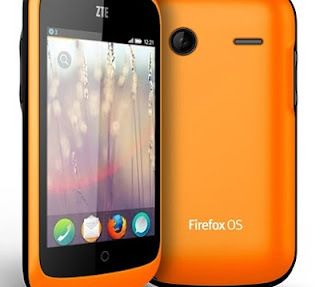 So this goes some way to explaining why neither the ZTE Open and Alcatel One Touch Fire pushed the boat out, but going with low end hardware is the best way to get as many Firefox OS powered devices into as many hands as possible at the fastest pace and that ultimately is what will secure Mozilla a hold in the mobile phone market! What we're more interested in is seeing a more mid-range handset more akin to the Geeksphone Peak? What would you like to see? Let us know in the comments below!